Historic Preservation Community Day is Saturday 9/22 at All Souls Church | Park View, D.C. 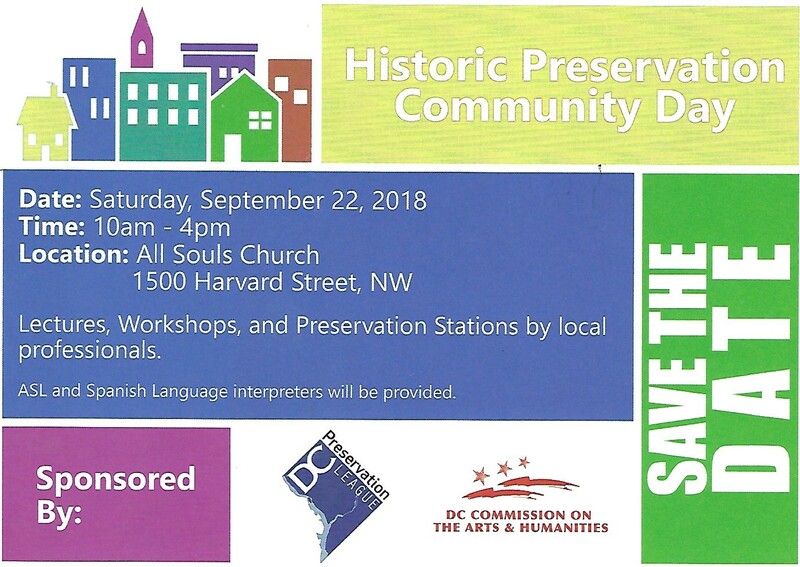 The DC Preservation League is hosting Historic Preservation Community Day this Saturday at All Souls Church from 10 am to 4 pm. You can register and find out more on their Web page and also check out the day’s agenda here. Its a good opportunity to learn more about historic preservation in the city as well as sort fact from misinformation that generally exists on this subject. This entry was posted on September 18, 2018 at 11:02 am and is filed under Community Meetings, Historic Landmarks, Real Estate. You can subscribe via RSS 2.0 feed to this post's comments.